On this 11-day journey, you will be immersed into the rustic, rural and authentic villages and cultures of China. You will hike against the backdrop of some of southern China’s most gorgeous scenery, interact with different minority cultures in remote areas of rural China, stay with local families for a hands-on immersion experience into the region’s rustic lifestyle, and try your hand at local crafts for the chance to make your own keepsake. Your experiences on this trip will truly move you, and the memories will stick with you forever. Today we arrive in Guiyang, the capital city of the Guizhou Province. Guiyang, which translates to ‘precious sunlight’, is situated on the east of Yunnan-Guiyang Plateau. Time permitting, take a leisurely walk through a local flower and bird market, and have tea at the iconic Jiaxiu Pavilion. Then drive to Jichang village (150km – 1.5 hrs). 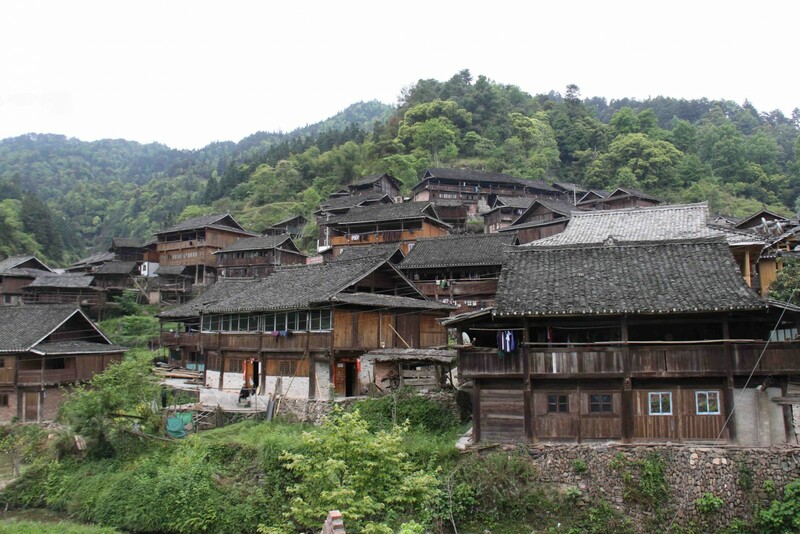 Jichang village is inhabited by the Old Han people, the descendants of the royal troops that were stationed at Guizhou during the Ming dynasty, who ruled from the 14th to 17th century. Explore the peaceful village and its traditional Ming dynasty architecture. Then enjoy a local Dixi opera performance, also known as the ground opera because the ground is the ‘stage’ for these performances. A venerable form of Chinese folk opera, Dixi opera originated from the Ming dynasty troops around 600 years ago. The opera recounts stories of war and battles and is performed for ceremonies and celebrations. Afterwards, learn how the opera masks are made. Then, if you have enough energy, hike around and explore the nearby villages. Continue the day’s events with a drive back to Guiyang city. In the evening, you will be free to explore the night market and delight in a welcome dinner in a local restaurant. Have the chance to taste delicious Guizhou cuisine, which is both sour and spicy and comprises many local varieties and dishes from the varying minority groups. Today we drive to Kaili, the capital of Miao and Dong Minority autonomous prefecture. It is the center of the Miao minority culture, hosting more than 120 local festivals every year. 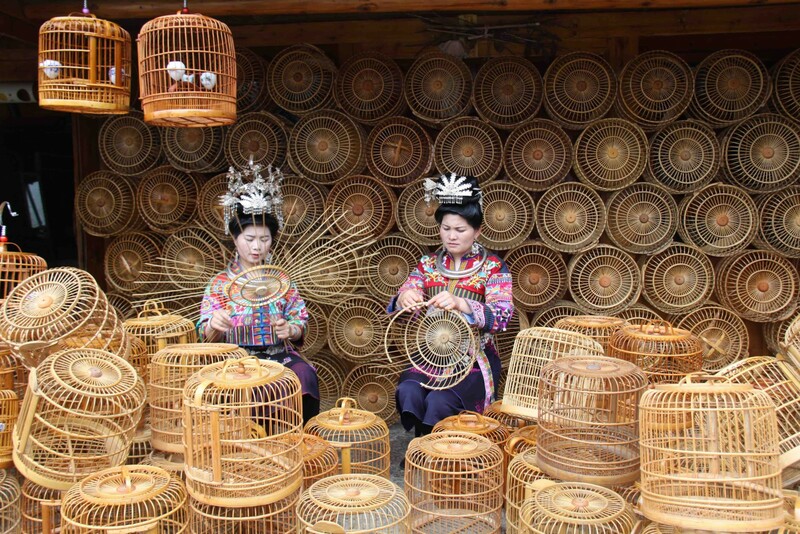 The Miao are known for their arts and crafts, including jewelry making, fabric work including embroidery, brocade and batik, and paper cutting. Start a two-hour hike from Xiaohe Miao village to Shidong Miao village, known for the quality of the silver ornaments produced here. Return to Kaili for your first homestay. This morning, head out to Chong’an, which is famed for its bridges and colorful local market. Visit the old town, well-known for incense making. Even the old millstones in the middle of the river are still used. After, take a short drive to Wangba Ge Jia village. Folklore suggests that the Ge Jia descended from a legendary Han general who was exiled for marrying a Miao woman, which is said to explain why their traditional dress resembles military garb. The tribes are also known for their batik designs. Continue on to enjoy a farmers’ lunch in Shiqiao Miao village, which remains one of the few places that maintains the ancient art of paper production, an art form whose history can be traced back 1,000 years. Learn about the 14 different stages that the roots and bark of the Paulownia tree need to go through to produce this beautiful paper, which is used today for brightly colored paper lanterns. End the afternoon at Qingman Middle Skirt or Silk Felt Embroidery Miao village, where the spectacular embroidery skills of the village girls are famed throughout the region. Return to Kaili. Begin the day with a drive to Leishan (36km – 1 hr). 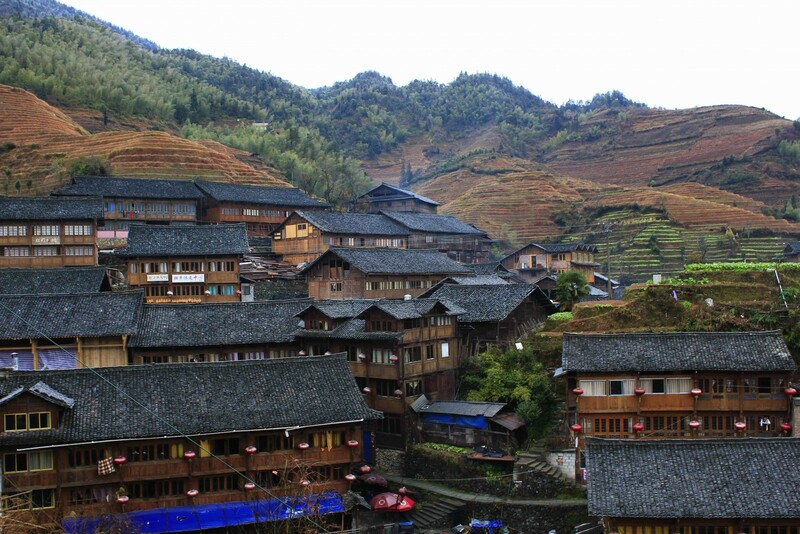 With small Miao communities, Leishan County is regarded as the center of Miao culture. 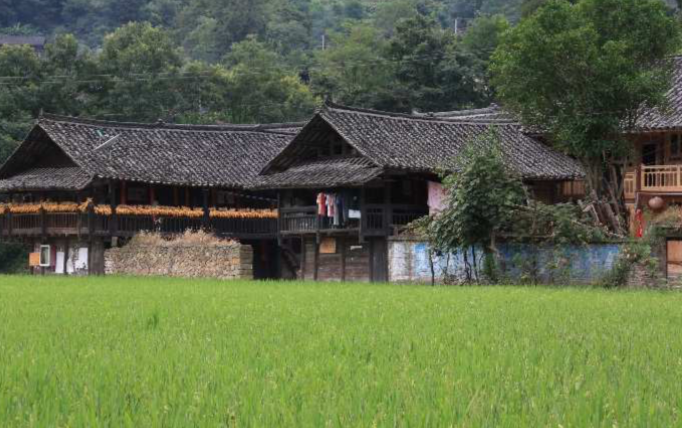 En route, stop to visit some special local villages, including the peaceful Jidao Miao village on the Bala River and the Langde Miao village, inhabited by the long skirt Miao. In the afternoon, visit Paika Miao village, which is known for the production of the lusheng bamboo pipe, a handcrafted reed instrument which can sometimes stretch over three meters in length. Continue to visit more of the interesting villages in the area, including the Datang short skirt Miao village to admire their rice barns built over the water. Our homestay is located in a stunning valley with incredible views where you will be greeted by the warm Miao hospitality. This morning, drive to Rongjiang (130km – 3 hrs). En route, stop at Xinghua Shui village and board a local ferry to visit the picturesque Bameng Shui village. Time permitting, hike to Baibei Miao village (5km – 1.5 hrs), visiting local families and meet the children at the local primary school. Located on a hillside of the ‘Moon Mountains’, this village is considered one of the most ancient Miao villages in the region. Baibei women are skilled at weaving and batik, and known for their ‘hundred birds’ dress, painstakingly embroidered with bird figures and trimmed with feathers. After lunch in Rongjiang town, explore the nearby Dong villages. The Dong people are known for their music and unique architecture – especially their symbolic drum towers, wind and rain bridges and opera stages. Dali Dong Villages are listed UNESCO Culture Heritage Sites. Apart from their remarkable drum towers and old wooden structures, these villages provide an important opportunity to experience an untouched way of life that is fast disappearing. Visit Sanbao Dong village, famed for its ancient drum towers which, according to Dong legend, were built to represent the Cedar King and the ancient banyan trees that flourish along the Chejiang River. Then, drive along the river arriving to Dali Dong village. At this peaceful village, stroll along the stone-paved streets and visit a historic courtyard home. Return to Rongjiang via Sanbao Dong Village in the late afternoon. After breakfast, drive to Congjiang (70km – 1.5 hrs). Head to Biasha Miao village, which is home to the last gunmen Miao tribe in China. Explore rural life at Biasha and visit the local primary school. Little affected by the modern world, Biasha Miao people still live in accordance with the ancient way, preserving their unique style of clothing, hairstyles and mysterious traditions. Still to this today, the Baisha Miao cling to traditions of old, with the men still shaving their heads with a sickle. Afterwards, continue to visit Gaozeng Dong village. Explore its long history, traditional architecture and the picturesque surroundings, and watch a traditional song and dance performance. Gaozeng Dong village locals are talented folk song chorus singers. Continue the drive to Zhaoxing Dong village (50km – 1 hr), the largest Dong village in China. Spend the rest of the afternoon meeting locals and learning the Dong’s traditions and about their architecture style. 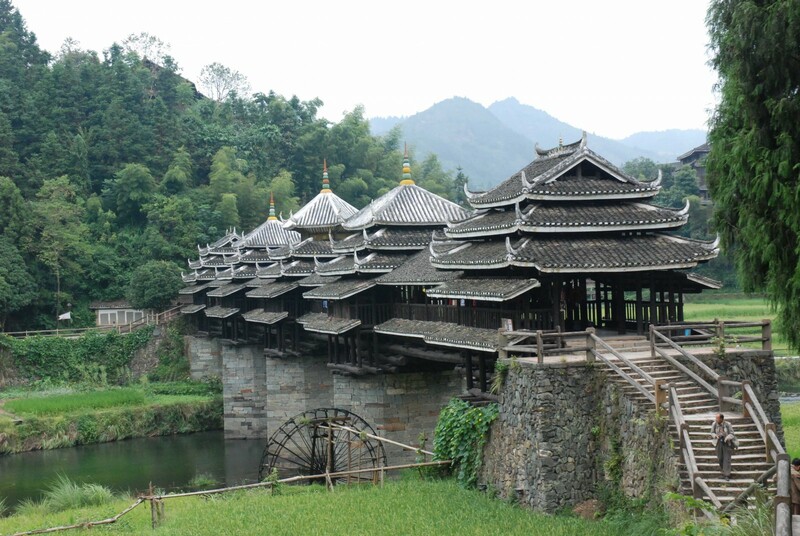 After breakfast, drive to visit the Chengyangqiao Roofed Bridge, also named the ‘Wind and Rain Bridge’, a great example of classic Dong architecture. After lunch at Sanjiang, located at the border of the Guizhou and Guangxi province, drive to Guangxi Longsheng rice terrace. Today, hike around the rice terraces, following the trails used by the locals to reach their fields as you take in the verdant beauty that surrounds you. 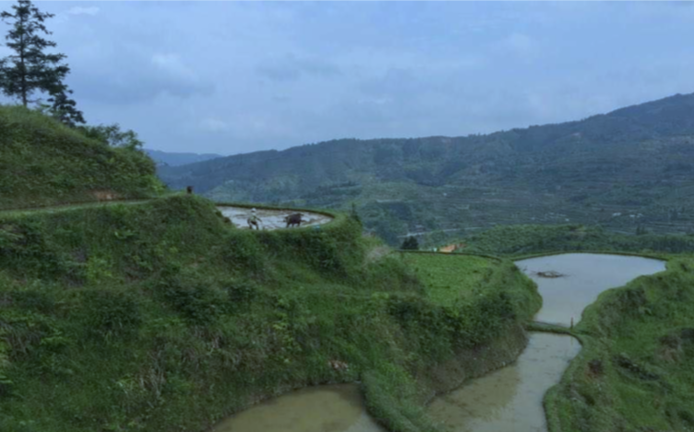 These terraced slopes connect several Zhuang and Yao minority villages. Take advantage of some incredible photo opportunities of the local villagers performing their daily duties and the surrounding picturesque landscapes. 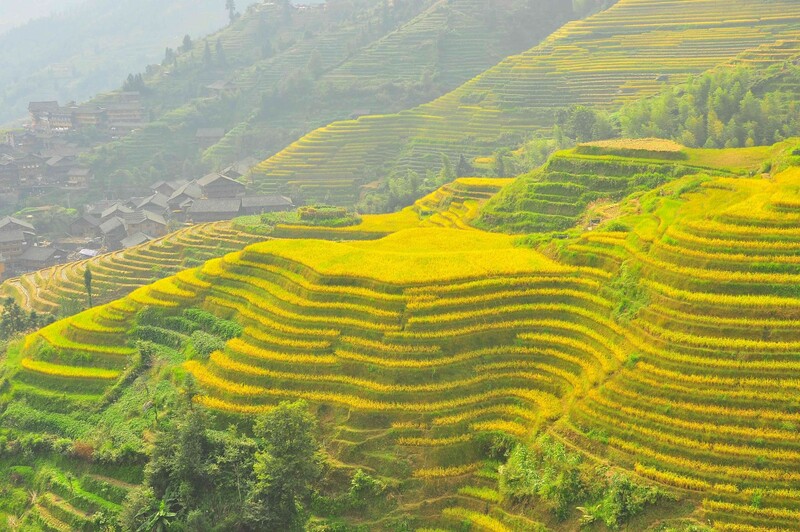 In the morning, hike along the trails that traverse the terraced slopes and see locals farming in the fields. After lunch, transfer to Yangshuo. On arrival, enjoy the evening free to explore the popular Yangshuo West Street. 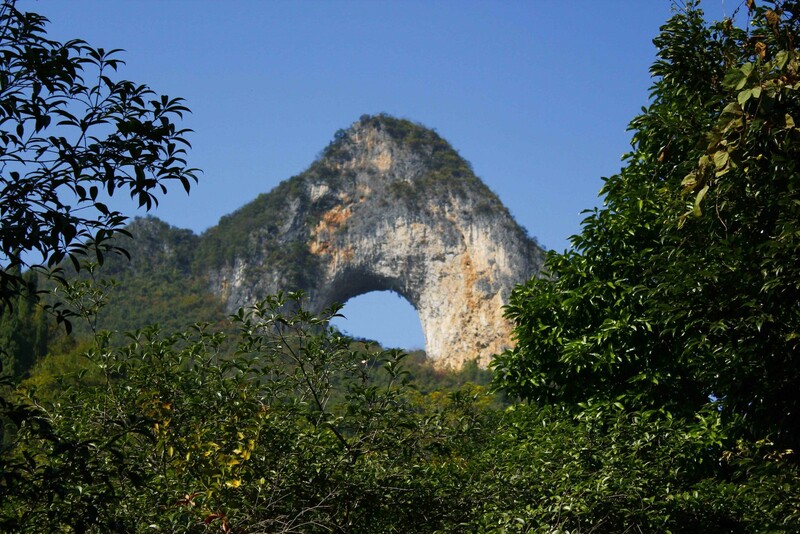 In the morning, hike up to Moon Hill, a curiously shaped hilltop with a natural cut-out arch. From above, enjoy the breathtaking views of the valley and the surrounding karst formations. After the hike, enjoy a cooking class with lunch at your host family’s home. Prepare lunch with the host, which includes tofu making, vegetable picking and cooking a local specialty, ‘beer fish’. This dish is prepared by first frying the fish, then cooking it in quality beer and a mix of tomatoes, peppers and other vegetables. It’s a local classic! In the afternoon, go on a bike ride through the village or take a bamboo raft to relax on the Yulong River, surrounded by impressive karst formations jutting out of the earth. In the evening, savor a farewell dinner at Yangshuo’s West Street. After breakfast, transfer to the Guilin airport to catch your onward flight to Beijing, and then your connecting flight back home (domestic and international flights not included). Located in Guiyang Ancient Town, Ven Courtyard Hotel is an ideal spot from which to discover the city. From here, guests can enjoy easy access to all that the lively city has to offer. With its convenient location, the hotel offers easy access to the city’s must-see destinations. At Ven Courtyard Hotel, every effort is made to make guests feel comfortable. To do so, the hotel provides the best in services and amenities – Wi-Fi in all rooms, 24-hour security, spa centre and indoor pool, flat-screen TV, bathrobes, slippers and toiletries. All 104 rooms exude an atmosphere of total peace and harmony. Enjoy a relaxed and hassle-free stay. We carefully select the houses and families for our client’s homestay experiences. All accommodations provide basic facilities, with shower and squat toilet (not a sitting toilet). During your homestays, you will make a strong connection with your family and the local people of the village.